Lol, ditto. Take as much time as you need, just remember to post these reminders from time to time, just for us to feel more at ease ;-). Just for curiosity’s sake, are you thinking about releasing the remaining episodes one-by-one or the entire 14 episodes all at once? Whole thing as a batch, yeah. Anyway, I can finally continue living my life without fear from now on. YOU ARE ALIVE!!! Yep, that’s me. But nah, timing one or two shows a week doesn’t really take much of my time at all. Are you gonna work on those HQ encodes of Digimon Adventure 02? The same quality that was for the first 2 episodes? Considering we haven’t touched that in, what, 2 years? I really doubt it. Sorry. Why? Pluto can’t do it?! Good to know that you aren’t dead. Is it true you’re going to release all the Tamers and Frontier final versions at once? Will this also include the Adventure 02 ones? Just Tamers, but progress has been very slow. Honestly, the motivation to work on it just isn’t there. Would you please seed the Digimon movies again? They do not have any seeders any more. Also, are you subbing savers, and do you need more staff? @Tsukumo Yuma, Digimon Savers is subbed by RyRo, the same fan-sub which subbed Digimon Adventure 01 and Digimon Xros Wars! Well, will you start seeding the digimon movies again? I try to seed stuff as much as I can, but I can’t really do it 24/7. Don’t trust the seeder/leecher numbers on Nyaa either, they’re rarely accurate. Hello. I’m a big fan of Digimon. I really appreciate your guys work having subbed all of the Digimon series that you have done. I’m working on collecting/downloading all of the Digimon episodes that’s out there on the net. The last ones I need to download are Digmon Tamers as well as a couple of the movies such as Digimon Adventure 02 where Wallace and Terriermon are there with the golden Digmonmentals and the Runaway Locomon movie. I always check if you guys up dating your site. Are you guys going to sub those movies soon? 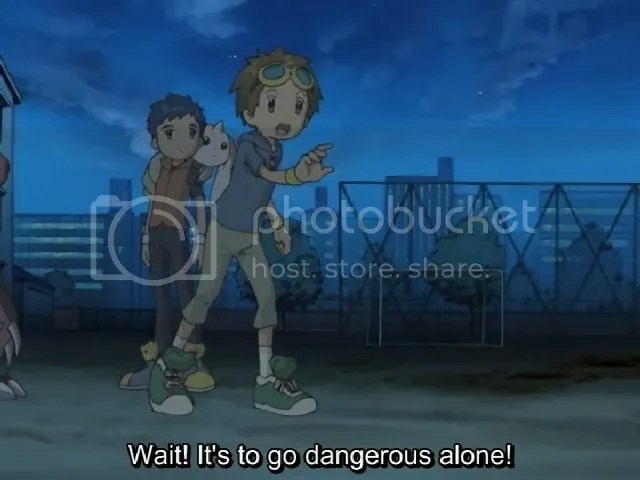 Are you guys going to eventually put all of the Digimon Tamers episodes in one torrent file soon? The two movies you mention have been subbed by DmonHiro. I basically haven’t done anything with Tamers in months due to lack of (mostly) motivation and (kinda) time, and while I still want to finish it at some point, I have no idea when that’ll be. There was talk on BakaBT of making a combined torrent of Wild Bunch’s and our releases, so that’ll probably be the closest thing you’ll get in the near future (not that there’s anything wrong with that, Wild Bunch’s releases are perfectly fine). I wish these torrents were not dead. They have not made any progress in weeks. And wildbunches tamers torrents are not working either. Any help? I really doubt the BakaBT torrents are dead; pretty much everything there is actually overseeded. Make sure you’re using a whitelisted client (any reasonable, non-beta version of BitTorrent or uTorrent will do, for starters), otherwise their tracker will block you. I don’t think I can help with WB’s though, sorry.